Hubby and I love to go to estate sales when we get the opportunity. You never know what treasures can be found. I have found vintage fabric, garden tools, pyrex bowls, which I happen to collect and Mexican pottery, (I also collect these). Hubby usually looks for tools that he can use. Not long ago I found a scarf, which looked brand new, for $1.oo. I quickly grabbed it knowing that I could use it some way or another. 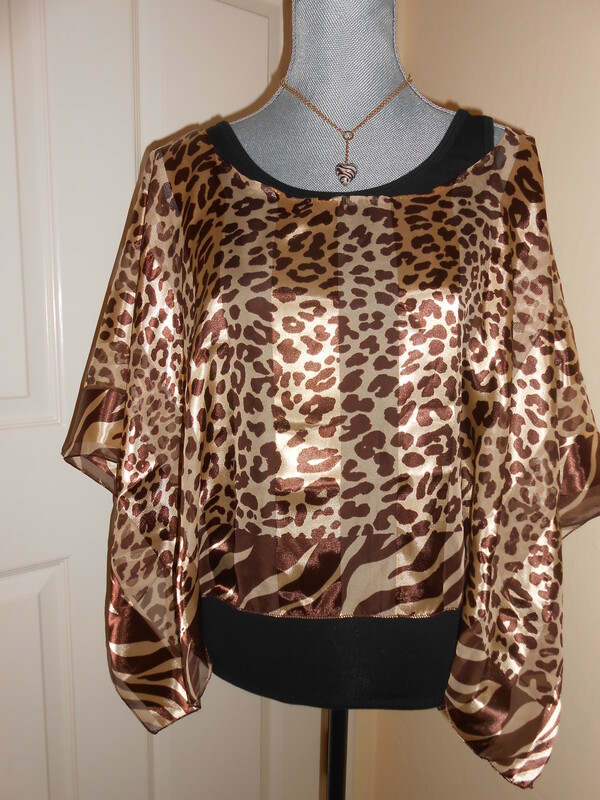 Well, as you can see, I turned it into a poncho-like top to be worn over a camisole or nice tee top. 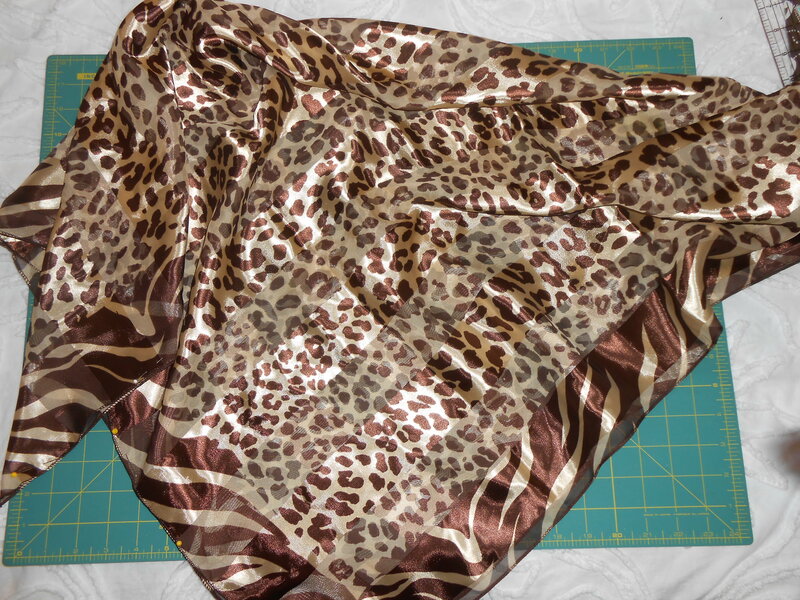 To start the process, I folded the scarf in half and then cut a hole at the top for my head to go through. 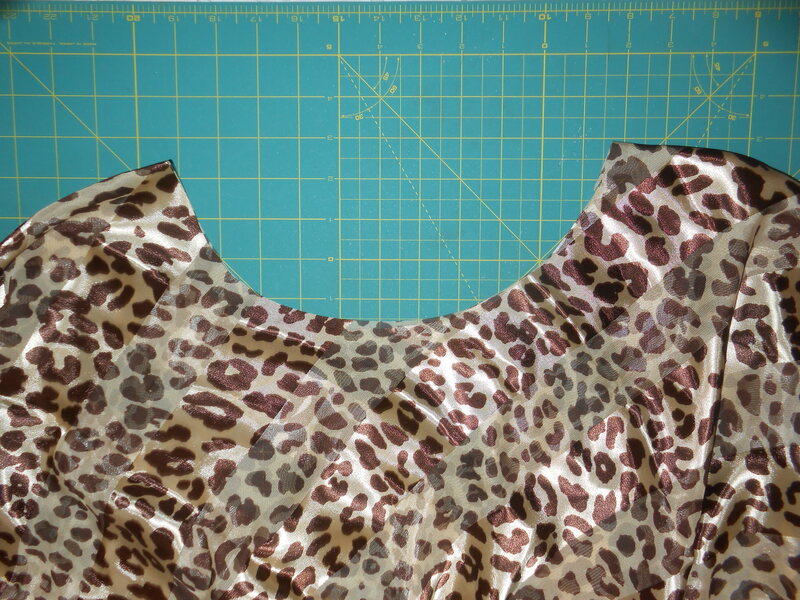 I then hand stitched a narrow hem around the opening for a finished look.